Tierney’s and NCR also specialise in Hand-held POS terminals featuring individual solutions for every application. NCR Orderman devices are specially made to thrive in the tough environment of the hospitality industry and known for its hospitality-specific strenghts. 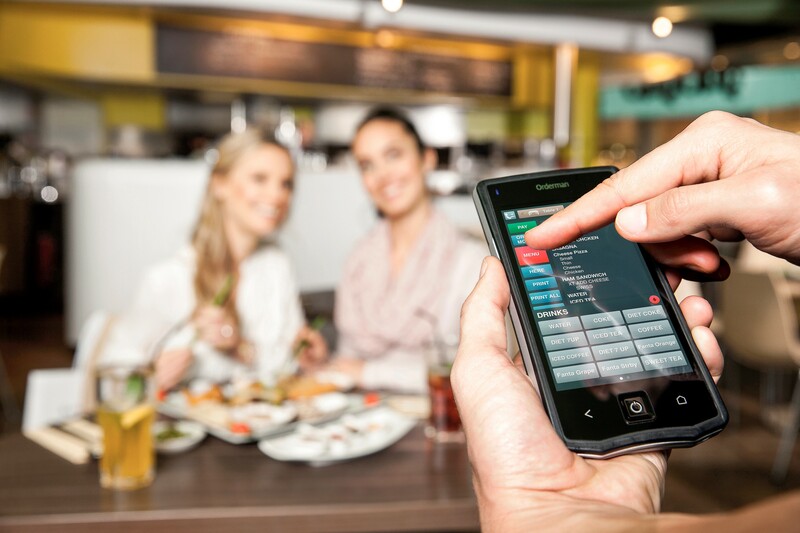 Handhelds, POS systems and services from Orderman are used worldwide in more than 55,000 restaurants. Ergonomics, design and robustness make Orderman what they are: professional tools for professional restaurateurs. Radio ordering is now faster, more reliable and easier than ever before with the all-new 7th generation of Orderman devices – the NCR Orderman7. The reasons for the NCR Orderman7’s unbeatable quality: twenty years of experience and a high level of expertise stand behind this device specially designed to meet the challenges of the hospitality industry. With NCR Orderman, Radio ordering helps to save time, reduce costs and improve efficiency in your business. Handheld ordering solutions have proven to generate up to 25% more sales along with proven statistics showing that there is a 1 year ROI with the Orderman solution. See for yourself how the new superhero makes radio ordering faster, more reliable and easier than ever, check out this video. For a free NCR Orderman Demo with Tierney’s please contact us today or visit Orderman for more details.